As part of National Breast Cancer Awareness month, Stage and Studio presents a half-hour adaptation of The Breast Cancer Monologues. Originally a one-hour documentary collage with and about Breast Cancer Survivors produced by Dmae Roberts & MediaRites, the show features producers Kate Welch, Miae Kim and Anca Micheti and s actors Olga Sanchez, Caren Graham and Elaine Low. 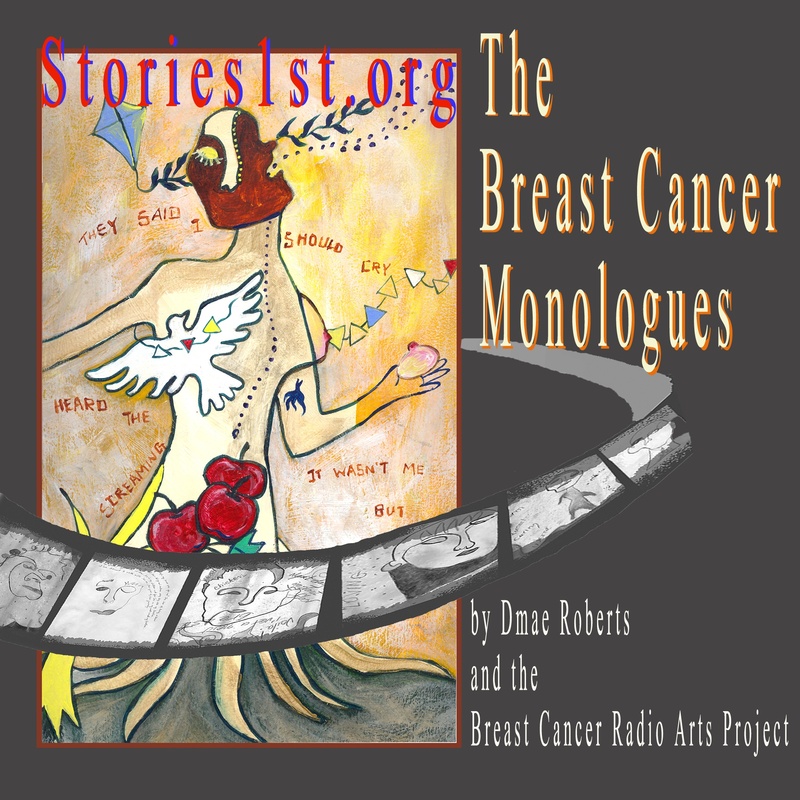 The Breast Cancer Monologues was part of a year of arts outreach workshops with breast cancer survivors and intricately weaves interviews and readings about how breast cancer has affected the lives of women in America. One in eight women in this country will develop breast cancer within a life expectancy of 85 years. Only 5-10 percent of breast cancers are linked to genetic history, yet there is little research as to the cause and the treatment can be as deadly as the disease. 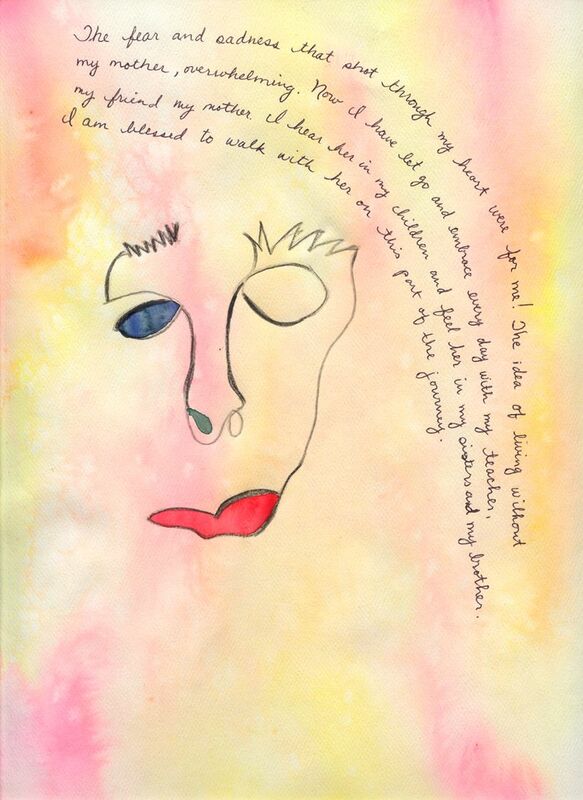 Breast cancer is still misunderstood and often a taboo subject. 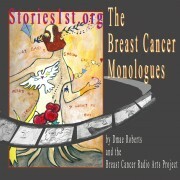 The Breast Cancer Monologues address the myths and misunderstandings while giving voice to the women who know first-hand the effects of breast cancer. Master Engineer was Clark Salisbury. 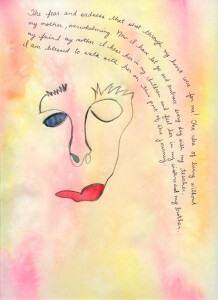 Graphics by Ping Khaw-Sutherland. Interviews and writings by Jan Baross, Rita McDonagh, Hilda Bengston, Dawn Cottrell, Majorie Holland, Barbara Strasburger, Leslie Lischka, Teena Rodriguez, Tai Brown, Clara Welsch, Maria Pascu, Caroline Acuna-Guilartes, Monica Benson-Barros, Suzanne, Elizabeth, Joy, Michelle, Caroline, Monica, Jeannette, Nancy and Mira. To order a CD or download of the entire program, visit MediaRites Productions. For October: National Breast Cancer Awareness Month, we’re giving away free downloads of the documentary.Write a comment and have a chance to win a free download of the entire one-hour documentary program! Arts outreach workshops were made possible with funding by the Regional Arts and Culture Council and the Oregon Arts Commission. For more info about breast cancer, visit breastcancer.org and Breast Cancer Action. we have the illusion of surmounting. And a story to tell.